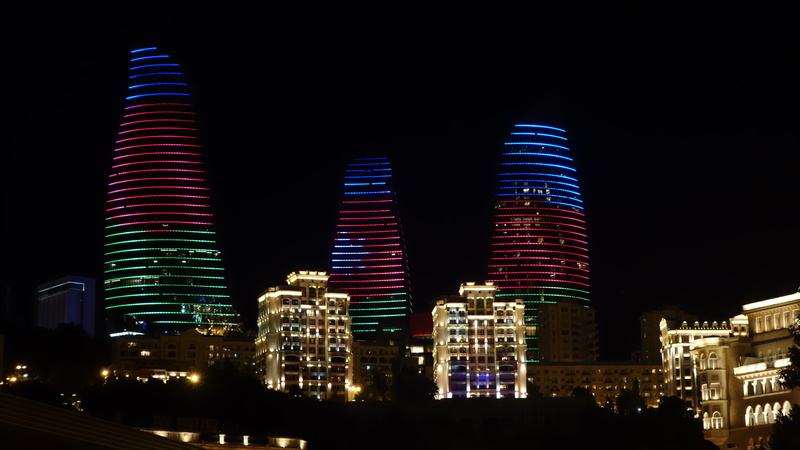 After spending an extended stay in Tbilisi its fair to say I was looking forward to Baku, and indeed I’d harboured plans to come here at some point for some years even if I never had planned on it being during this trip. But I’ll be upfront. 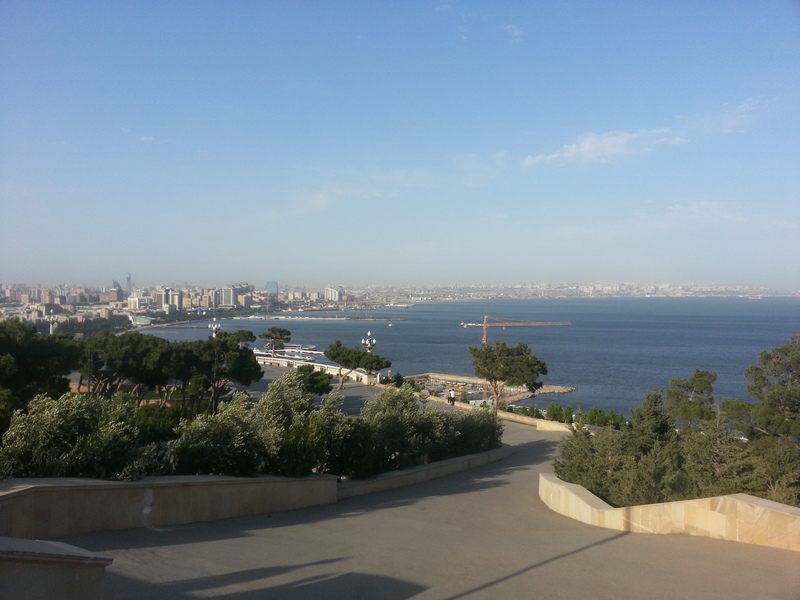 Baku was something of a disapointment. 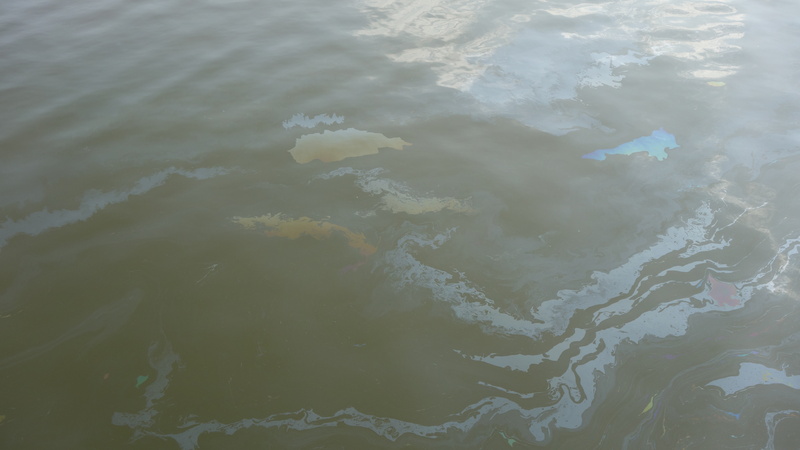 Perhaps some of this was due to the conflicting pressures of trying to enjoy it whilst at the same time registering with immigration, getting a Visa for Uzbekistan and constantly traipsing up and down to the port to see if there was a boat leaving for Kazakhstan. 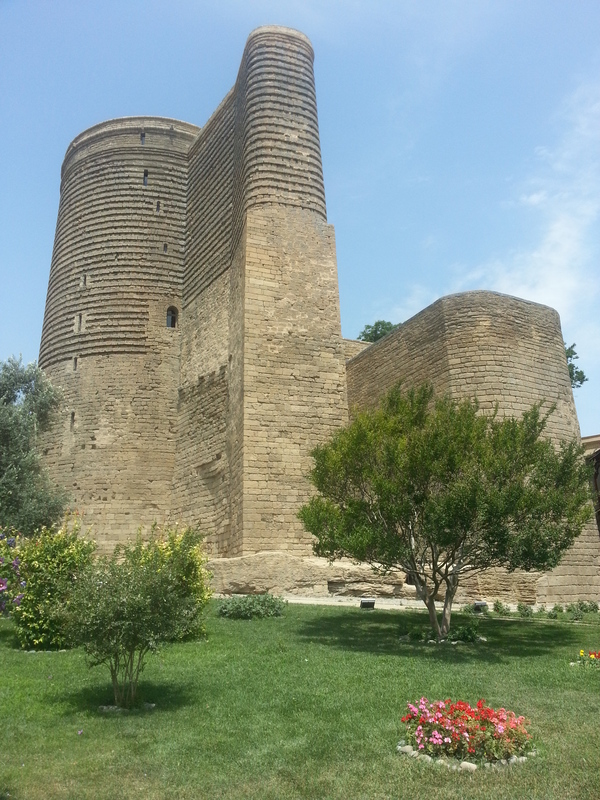 But even taking this into account I feel I would probably be happy to add Baku to my very short list of places I’m not that fussed about going back to. 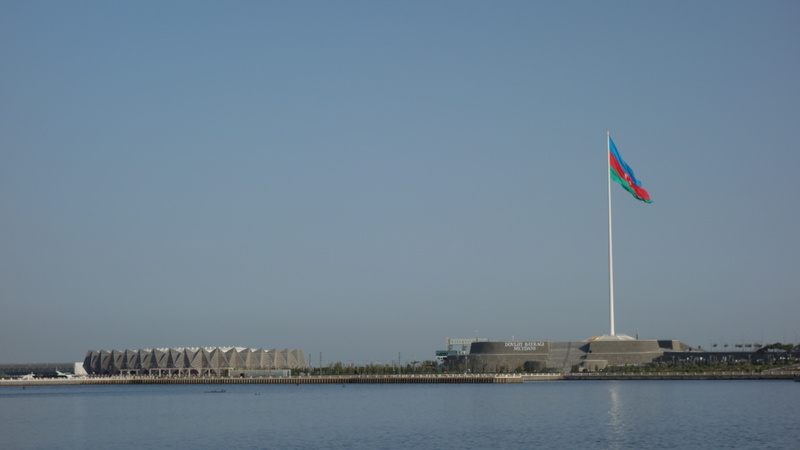 During the day with the haze of the heat, Baku doesn’t actually look that great. 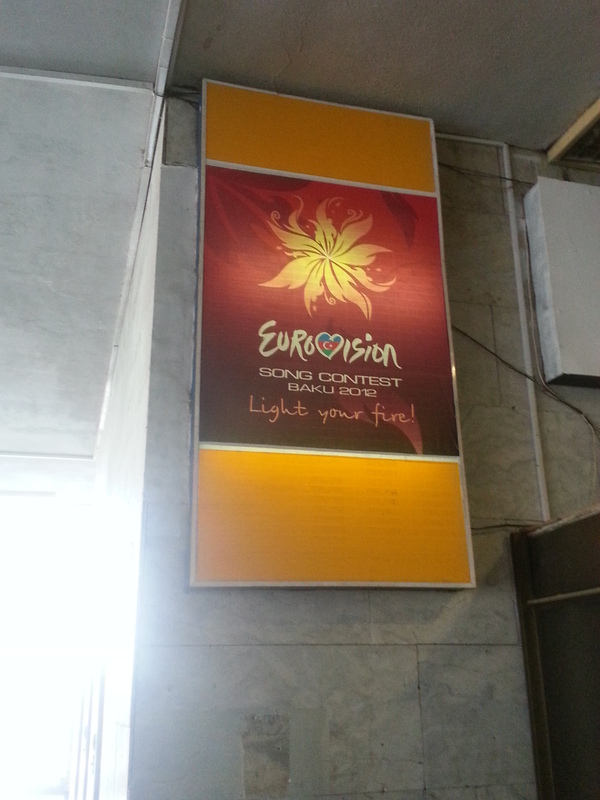 They are hosting the first European Games in 2015. I’m sure they’ll still be shouting about that for years as well! However the longer I stayed the more it all started to seem rather fake, and the whole place seemed to lack some sort of intangible soul that most successful cities seem to have. The old town looked conspicuously clean and fresh, the shops, along the boulevard offered high end fashion and jewellery useful and affordable to no-one except those with considerable more money than seance or taste. The numerous new building developments with their unique architecture looked great. 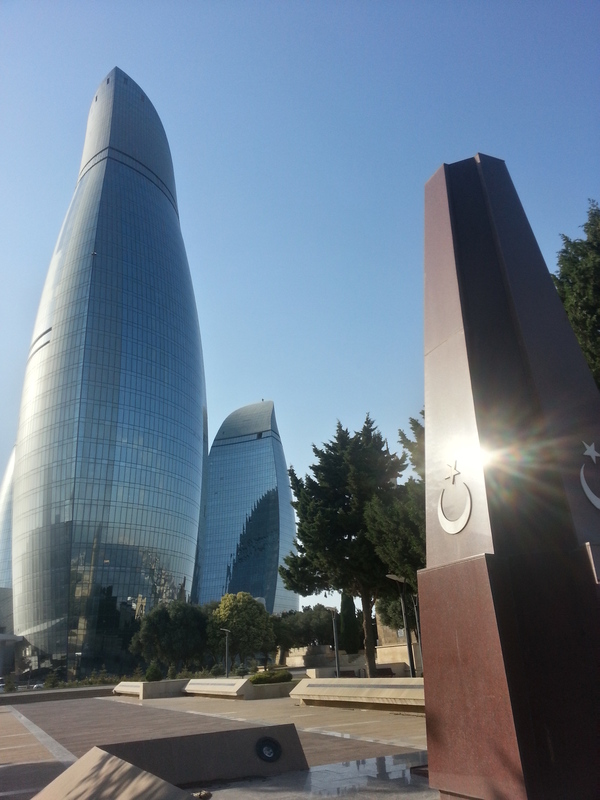 But two of Baku’s famous flame towers still appear to be being finished and are completely empty whilst the other did not look fully occupied either. 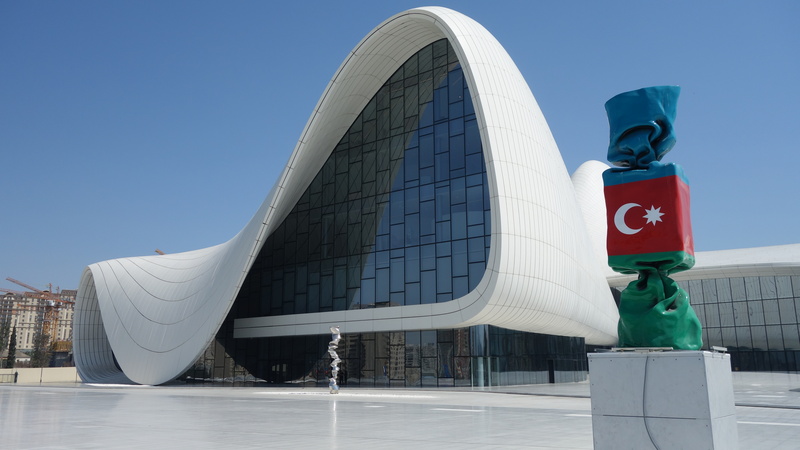 The Heydar Aliyev Centre is a stunning building, hosting various exhibits, the biggest a hagiography of Azerbaijan’s ex-President, Heydar Aliyev himself but the building seemed poorly designed and thought out from a usability point of view. (Fun fact, Haydar Aliev is the father of the current President. I’m sure its just coincidence…) For some reason tickets for each exhibit were sold separately in a room only accessible from outside the building and the main entrance felt like more of a tradesman’s side door, quickly included in the design when someone realised they had forgotten to think about how people could actually get inside their beautiful design. Inside itself there were no signs or directions showing you where to go. And I still think these look more like penguins than fire…. 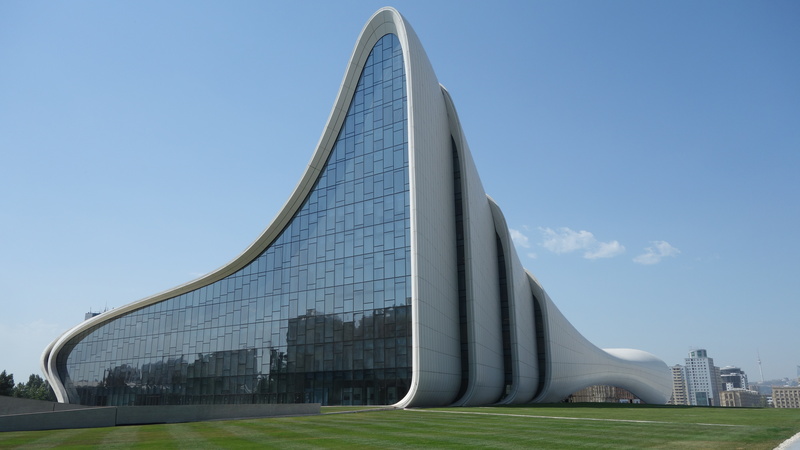 Overall, like much of my experience with Baku, it seemed a triumph of form and appearance over function and practicality. Even the clean marble underpasses on closer examination seemed to show this same careless attitude to the smaller details. A chair lift device for wheelchair users was included in the main underpass from the bolivard to the old town, a tick in the box you would think. Yet almost as soon as any wheelchair user would have got off this lift they would then be presented with a random step to navigate that seemed to be there for no other reason than at a guess, they didn’t do their measurements to the base of the underpass properly..,. 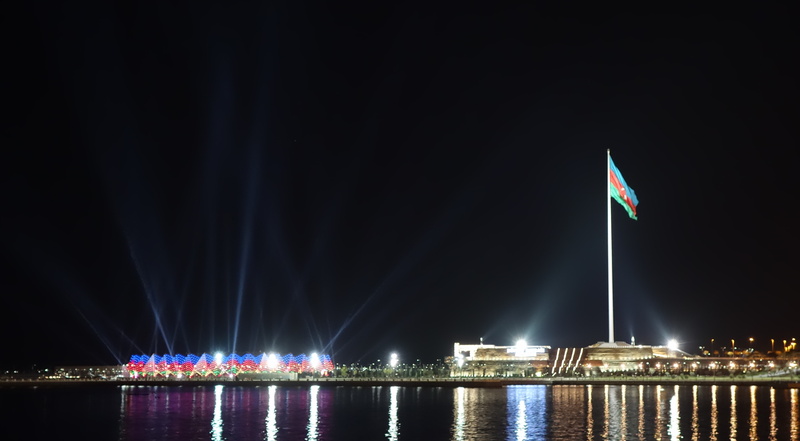 That is not to say I didn’t have a good time in Baku. Odds are if you stay in Baku’s rather basic attempt at a hostel you are going to meet like minded travellers and the place feels safe and the people did seem genuinely friendly and helpful (and does look really good lit up at night), but for anyone doing an overland trip, your likely to end up too distracted by sorting out Visa’s and ferry tickets to really enjoy your time here. Perhaps if I had just come over for a weekend and had a bit more cash to splash around I would have enjoyed it more, but then again its not exactly ideally located for a weekend break from the UK.